​Many times when we face a challenge or an issue in Jewish Education, we can look to the world of secular education for ideas and solutions. 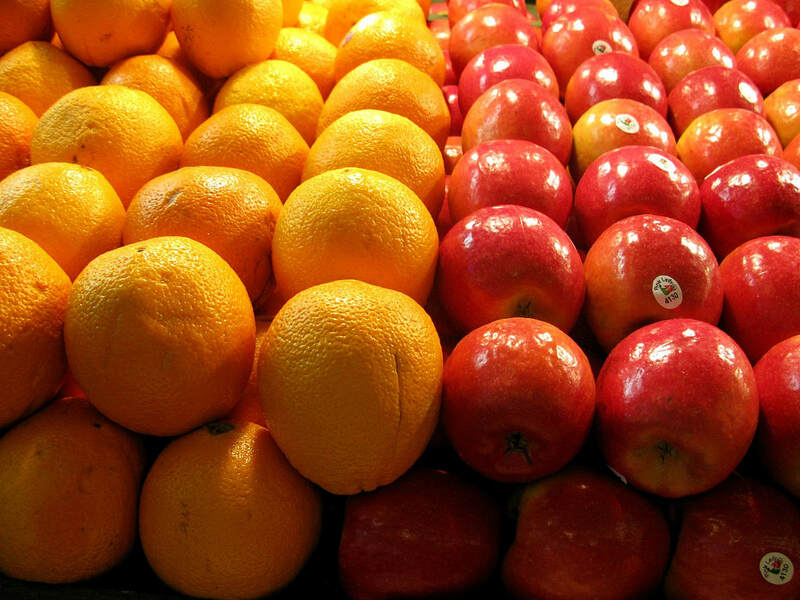 But when dealing with classroom management, it can be like comparing apples to oranges. In fact, sometimes when we compare the resources and strategies from the secular education world to that of Jewish education, it can leave us feeling like we don’t have what we need; but there are always ways we can adapt to do our best with what we’ve got! Training: One of the keys to classroom management success is training. Students change all the time, and we see new behaviors and issues emerge. To remain effective, we need to be current on new strategies and models, and that takes time and training. While secular teachers have training built into their jobs, religious school teachers have to set aside extra time for training. This extra time can be difficult between familial and full-time work obligations. Also, training costs money, and you need to find the right person to do the training. Many congregations have limited or no professional development budgets. But, every congregation has people, and those people know more people. Let the congregation know that you are looking for someone to come and work with the teachers. Often, people may be willing to volunteer, and the congregation can lend a hand with childcare so that the teachers can attend the training. Staffing: When things go wrong in the classroom, one of the main struggles for a teacher is that they are only one person. A teacher cannot stop the class to take a student outside to work through a problem. If a teacher were to enact this scenario, it would compromise not only the class learning but also the supervision of the students. Teachers in secular education have administrators there to assist them with discipline, and they routinely make use of teaching assistants or shadows for students who need them. In religious school, many schools struggle to find and keep staff. They’re extremely lucky if there are extra sets of hands around. Instead of looking for more full-time help, there can be floater volunteers, even parents who are on call as teachers need them to come and cover the class or even just take a student out of the class for a minute if there are problems. Even if these volunteers aren’t teachers, having that extra help can be such a great help to a teacher facing a problem. Communication and Community: Lastly, and probably the most challenging comparison, is communication and consequences. In secular school, there are defined rules and enforced consequences. Somehow, religious schools don’t have the same standards of behavior as “real school,” and it can be difficult to remedy discipline issues. Religious school is not just a school; it’s an extension of the Jewish community, so enforcing consequences can be tough. Parents of students often are involved in other aspects of the congregation, and dealing with the discipline of their children can feel personal because it is less contained. Parents often enroll their students in religious schools and then, other than for special holiday or classroom celebrations, we don’t really involve them unless there is a problem. This is a missed opportunity. Try offering a training session for new parents. You can create a space where parents and directors/teachers can discuss how to make the school the best it can be, what their role as a parent entails, and how to set their child(ren) up for success. This situation starts parents off feeling invested, informed, and in the know. If their child faces a problem, you can start from a place of working together instead of facing potential conflict. Lastly, think of what values and standards you want for your school. This is NOT the same as rules. Communicate and celebrate this message often so that when issues arise, everyone involved can be reminded what the school stands for and can strive to return to the shared goals. The one thing that both religious school and secular schools do have 100% in common is that dealing with classroom management is hard! Make sure your teachers, parents, and students have a place to share frustrations and to receive support! There ARE solutions to make things better, and there’s no better feeling than when a classroom challenge turns into a success!